The American Impressionist Society, Inc. (AIS) was founded by Florida artists William Schultz, Charlotte Dickinson, Marjorie Bradley, and Pauline Ney. Membership is open to legal US resident artists, US citizens living abroad and anyone who wishes to support American Impressionism. 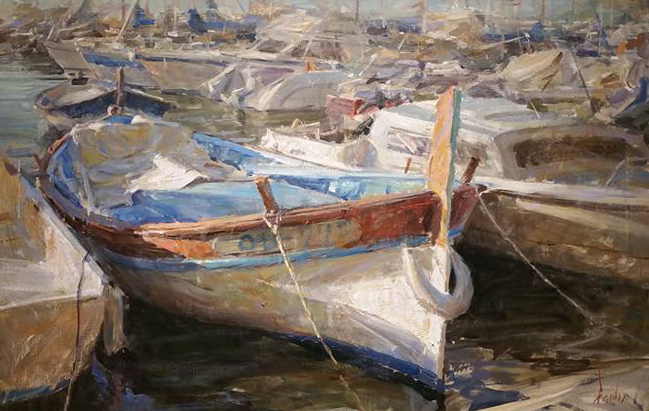 American Impressionist Society, Inc. defines American Impressionism as the concern for light on form, color, and brushstrokes. It allows equal latitude between these attributes, and recognizes not a single definitive element, but several factors–including high key light and hue, visual breakdown of detail, concern for contemporary life, and cultivation of direct and spontaneous approaches to a subject. Four Florida artists founded the American Impressionist Society (AIS) in February 1998, in honor of their mentor, William J. (Bill) Shultz. 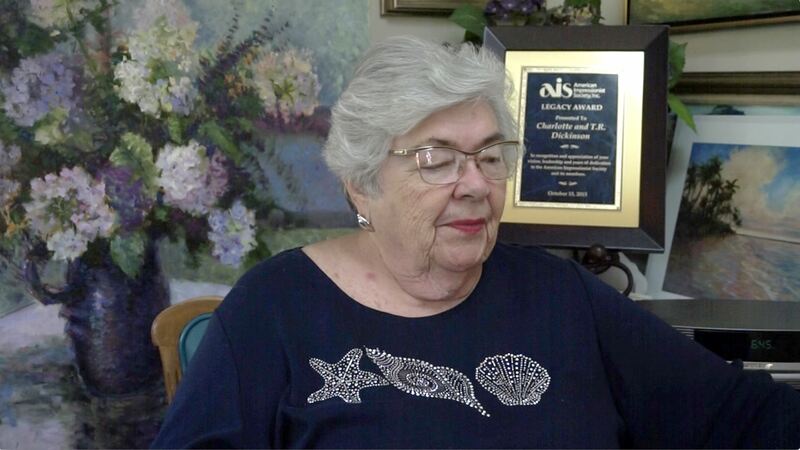 Thanks to the vision of Charlotte M. Dickinson of Vero Beach, Florida, along with Marjorie I. Bradley of Vero Beach, Florida, Pauline S. Ney of Long Boat Key, Florida, and William Schultz, AIS has grown to be one of the most respected national art organizations in the country. Membership is open to all Impressionist artists residing in the United States or who are US citizens living abroad, and anyone who enjoys and appreciates Impressionist Art and wishes to support it. Members living abroad are not eligible to enter our exhibitions. The goal of AIS is to promote the appreciation of Impressionism through workshops, classes, exhibitions, videos and other media. Our annual national juried exhibition is open to our members who live in the United States and/or are US citizens. 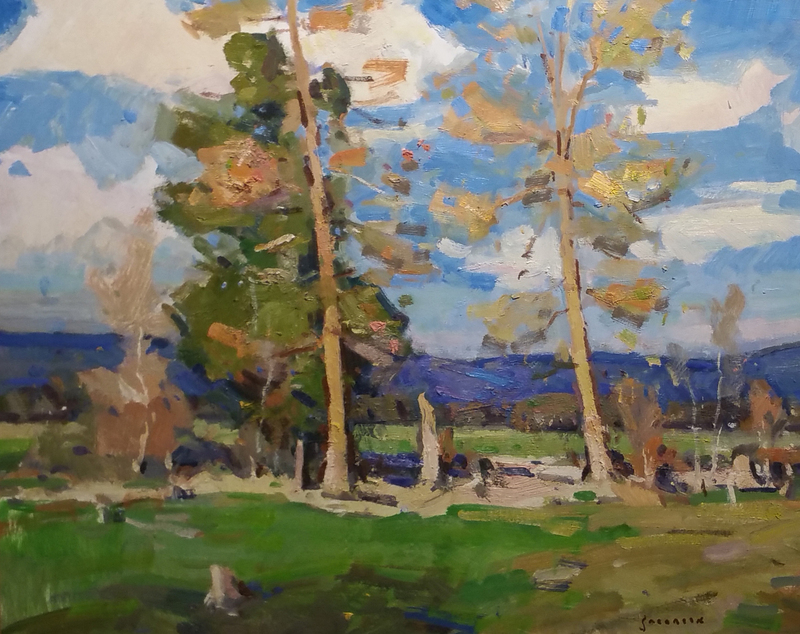 First Annual Juried Members Exhibition, more then 100 Impressionist paintings were exhibited, representing accomplished artists from all over the country. It was held at the Holiday Inn Oceanside, Vero Beach Florida on November 27 & 28, 1999. Second Annual Members show at the prestigious 100 year old Cincinnati Art Club, Cincinnati, Ohio from August 25 - September 3, 2000. Third Annual Juried Members Exhibition was held at the William Lester Gallery, Port Reyes Station, California in October, 20 01. Fourth Annual Juried Members Exhibition at the 50 year old Morro Bay Art Association at San Luis Obispo County, California 2002. Fifth Annual Juried Members Exhibition at the Charlotte Flinn Gallery, Vero Beach Florida, through the month of November 2003. Sixth Annual Juried Members Exhibition at the Nichols Taos Fine Art Gallery, Taos, New Mexico in June 2005. Seventh Annual Juried Members Exhibition at the Rockport Center For the Arts, Rockport, TX, April 5th - May 6th, 2006. Eighth Annual Juried Members Exhibition at the Hilligoss Gallery, Michigan Ave., Chicago, Illinois, in May 2007. Ninth Annual Juried Members Exhibition at The Coda Gallery, Palm Desert, California, from November 22 - December 21, 2008. Tenth Annual Juried Members Exhibition at Saks Gallery, Denver, Colorado, from October 23 - December 2, 2009. Eleventh Annual Juried Members Exhibition at Richland Fine Art, Nashville, Tennessee from October 7 to November 3, 2010. Twelfth Annual Juried Members Exhibition at Mountainsong Galleries, Carmel-By-The-Sea, California from October 15 to November 15, 2011. Fourteenth Annual Juried Members Exhibition at M Gallery, Charleston, South Carolina in October 2013. Fifteenth Annual Juried Members Exhibition at Abend Gallery, Denver, Colorado from Oct. 2 through Nov. 1, 2014 with over $50,000 in cash and merchandise awards. Sixteenth Annual Juried Members Exhibition at Trailside Galleries, Scottsdale, Arizona, from October 1st through 29th, 2015. Over $63,000 in cash and merchandise awards. Seventeenth Annual National Juried Exhibition was held at Howard Mandville Gallery, Kirkland, Washington, from September 29th through October 30th, 2016. Inaugural Small Works Juried Exhibition was held at Randy Higbee Gallery, Costa Mesa CA, from March 11-25, 2017. Eighteenth Annual National Juried Exhibition was held at Montgomery Lee Fine Art, Park City Utah, September 28th - October 29th, 2017. Our exhibitions are coordinated completely by volunteers. We encourage our members to become involved and volunteer. Additional exhibitions and opportunities are currently in the works for future years. AIS is a 501(c)(3) nonprofit corporation. We offer memberships for both artists and non-artists (supporting memberships). Contributions are welcome and are tax deductible.